Are either of you guys allergic to dogs? ... is a package wrapped in brown paper. 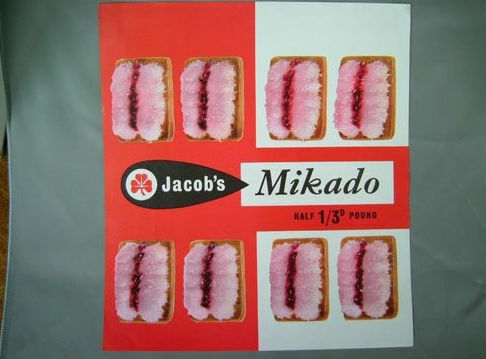 Inside is a packet of Kimberly Mikados. On top is a small handwritten note, in spidery scrawl. You actually found some? Thank you.